Bacon Guacamole.If you haven’t tried this yet–do. Two strips of bacon mixed in with one avocado, some garlic powder and salt, and you will have a fantastic flavor that is rich, smokey, and FANTASTIC on burgers. The crispier the bacon the better–you can totally taste the crunch. If you are a stickler for a recipe, here is my original guacamole recipe from last year. Since then, we’ve been a little obsessed. It’s now a requirement for any grilling outing—and while I like it as a regular dip, the bacon guac really shines when mixed into the meaty, beef taste of a burger. And so started our Memorial Day experiment—to go above and beyond the bacon guac and see if there was anything better…. The bacon corn was a nice experiment—but didn’t work on the grill. The bacon grease fired up the flames a little too much for both the burgers and the corn, and we ended up pulling the corn and broiling it in the oven to be safe. Below is how I’d proceed in the future–because the salty taste of the bacon did actually add to the corn flavor and it’s worth trying when you’re bored. 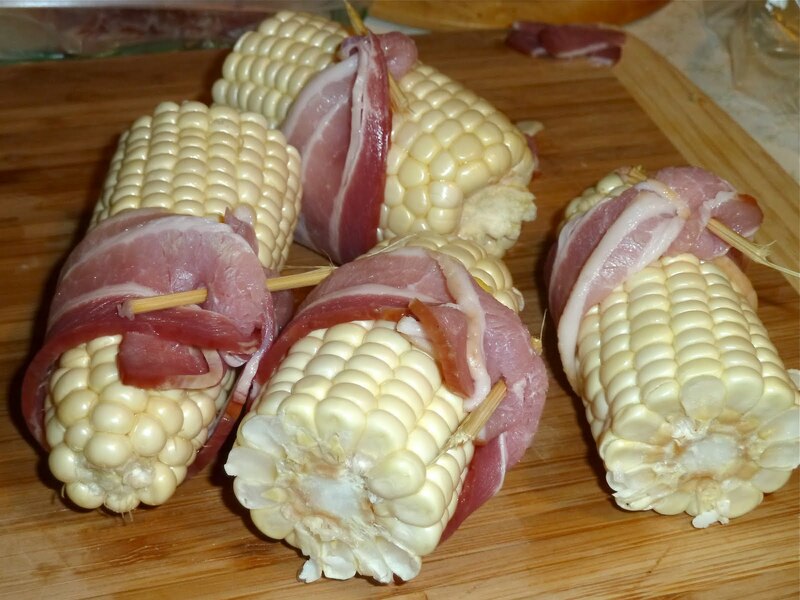 Bacon-Flavored Corn: Shuck two ears of corn, and flavor with Cayenne pepper and a pinch of salt. Place inside foil and add a tablespoon of butter and chopped up pieces of bacon. Grill or broil the corn for 15-20 minutes on a medium heat. (I usually add the corn at the start of any grill session, and leave it on away from the main heat until everything is done. Bacon Burger: While tasty, this recipe might need to be tweaked a little bit. We chopped up two slices of bacon into burgers, and the grease really fired up the grill to the point where I was a little scared, and Chris was excited. In the future, I am going to try some leaner burger meat (we had 80/20) and a little less bacon. Cooking these in the stove or on a skillet would likely help the fire situation. 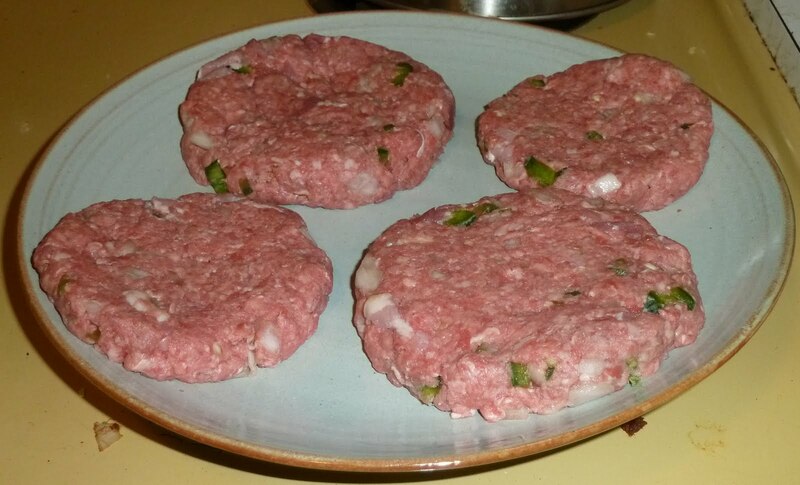 What I WOULD recommend is chopping up jalapenos and onions into the burger meat. The spicy flavor really made these burgers tastier than the frozen ones we’ve tried in the past. So ends our bacon experiments. My heart might hate me, but my stomach is totally satisfied. Yum.